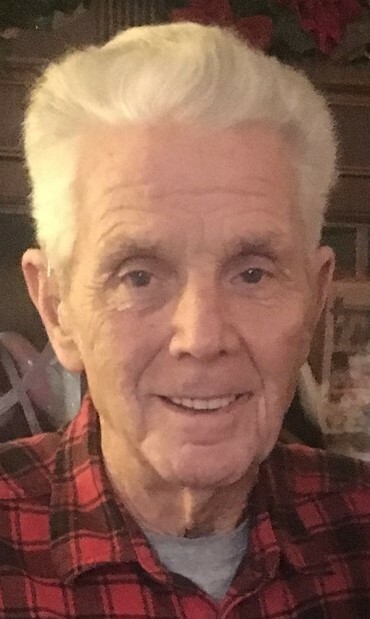 James A. Ritchie, 79, of Hickory Township, passed away the afternoon of January 2, 2019 at his residence. He was born on January 10, 1939 in Baden, PA, he was the son of the late Paul and Mabel Wilcox Ritchie. On December 3, 1960, he married his beloved wife, the former Darlene Forkey. James had worked for Penn Power as a yardman and heavy equipment operator for 36 years before retiring. James served his country as a member of the U.S. Army while stationed in Germany. James led an active life. He enjoyed hunting, fishing, chopping wood, working around the house, helping others, and being with friends. He could be seen daily buying scratch-off lottery tickets and attending grandchildren’s sporting events and activities. James was also a member of the VFW Post No. 315 and the Fraternal Order of Eagles. He would have celebrated his 80th birthday on January 10th. He will be sadly missed by his wife of 58 years, children, grandchildren and many friends. In addition to his wife, James is survived by his children, Jamie Mraz and her husband John, Lori Dado and her husband John, Charla McCormick and her husband Donald all of New Castle, Todd Ritchie and his wife Michelle of Cranberry Twp., his sister Luella Morford of Hermitage, Pa, twelve grandchildren, Matt and Sarah Dado, Miranda and Michael Mangino, Danielle Dado, Mackenzie Mraz, Mason Mraz, Marcus Mraz, Adam McCormick, Josh McCormick, Jacob McCormick, Brandon Ritchie, Callie and Brett Lanzel, Madison Balderston, and one great-grandson, Easton Saint James Dado. In addition to his parents, James was preceded in death by four brothers, Franklin, William, Dan, and Robert Ritchie, and one sister, Elizabeth Landers. Visitation will be on Saturday 11:00 a.m. to 1:00 p.m. at the Ed & Don DeCarbo Funeral Home and Crematory, 941 South Mill St. followed by a service held at the Funeral Home at 1:00 p.m. conducted by Rev. Dennis Bupp. The New Castle Area Honor Guard will perform military rights at the funeral home. Interment will be in the Veterans section at Parkside Cemetery.